Please don’t duplicate the artwork without my permission. I drew this several years ago and ended up patterning a character in the book on it. 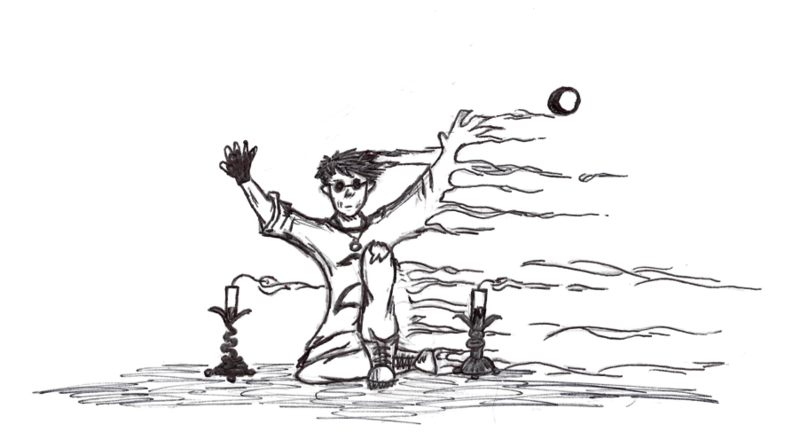 Most cultures have stories about “wisps”. In Appalachian myths, they are unexplained lights that lead travelers that have lost their way to safety. Cherokee myths talk about “little people” or “Aniyvwi Tsunsdi”. According to legend, they can sometimes materialize as people. In “Lott’s Mountain”, Grim, a wisp, remains hidden … well, most of the time. However, now that he has befriended Dylan Caid, he’s about to walk into things that even he couldn’t imagine.